KAREN VIBERT-KENNEDY/Sun-Gazette Steven Johnson, president UPMC Susquehanna, talks UPMC Susquehanna and the plans for expansion at UPMC Susquehanna at Williamsport on Tuesday. Shown behind Johnson is the expansion of the cancer center at Divine Providence Hospital. UPMC Susquehanna is expanding once again, this time to the tune of $113 million for two projects expected to be underway within the next several months. The brunt of the cost is wrapped up in a $100 million expansion project to extend UPMC Suquehanna Tower to the medical office building at 699 High St., which will be completely overhauled. 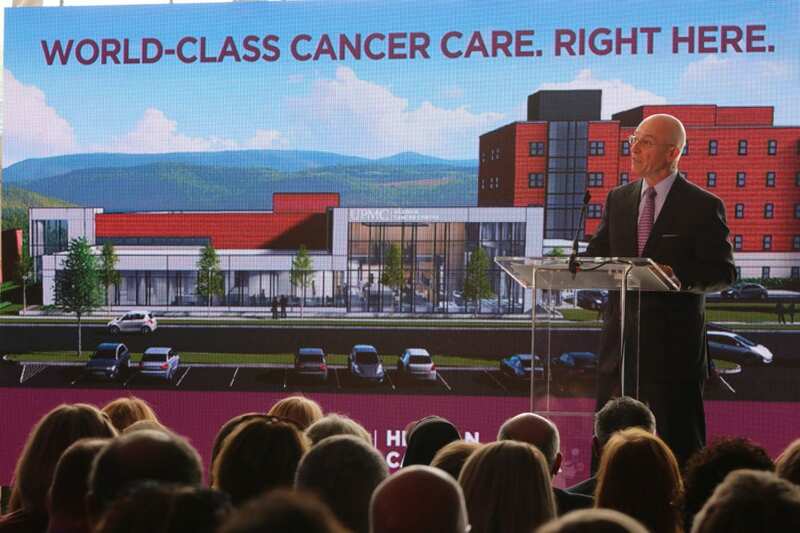 “Beginning next spring, we will build a 120,000-square-foot $100 million facility designed to support Williamsport Hospital’s full transformation into a trauma center and usher in a new era of comprehensive physical medicine and rehabilitation services to the region,” said Steven P. Johnson, UPMC Susquehanna president. Johnson referenced the hospital’s efforts to become a designated trauma center, which began in 2016 and are expected to be rewarded next year. 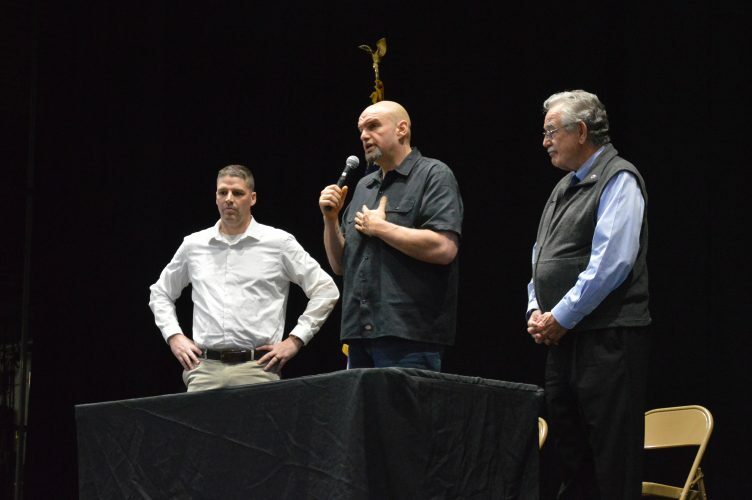 Those efforts included recruiting six leading trauma and critical care surgeons, having certain staff and resources available 24/7, furthering education for emergency room nurses and other staff, and more. The other portion of the project is the $13 million renovation of the Cancer Center at Divine Providence, to be called the UPMC Hillman Cancer Center and added to the list of more than 60 Hillman Cancer Center locations statewide. The transformation will “bring the next level of life-changing medicine to our region,” Johnson said. New physician examination rooms, open chemotherapy bays, private chemotherapy rooms and additional office and support space are included in the planned “patient-centric” expansion. The announcement celebrates UPMC Susquehanna’s second anniversary, or two years of partnership between Susquehanna Regional and UPMC — one that has been “extraordinary” and “trusting,” said Jeffrey A. Romoff, UPMC president and CEO. “We are exceptionally pleased to have been chosen” as Susquehanna’s partner, he said. Other members of UPMC Susquehanna’s upper echelon commended the partnership as well, lauding the many changes made over the past two years. The “modest-sized,” two-county hospital system with access to about 300 physicians now is a seven-hospital system providing coverage to 12 counties with access to 4,800 physicians, said Ann S. Pepperman, chairwoman of the UPMC Susquehanna Board of Directors.